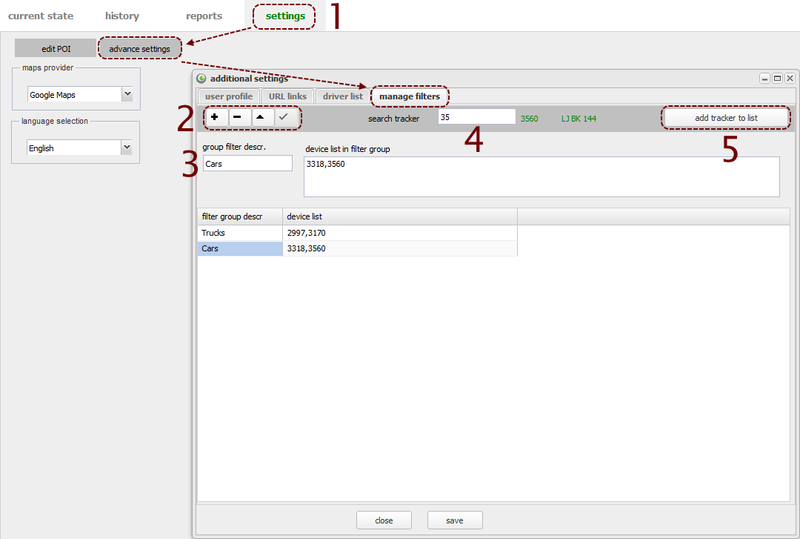 filter by description or ID, write a part of description or ID in the textbox. 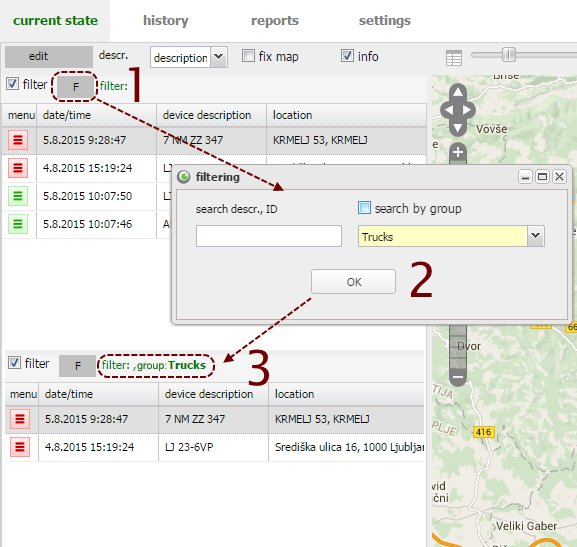 filter by group; make a check next to "search by group" and select group you want to have displayed. You can apply both (description/ID and group) filters at once. Click OK button (2) to apply changes. Now you'll see applied filters next to "F" button (3). Go to settings tab, click "advanced settings" button, in newly opened window select tab "manage filters". 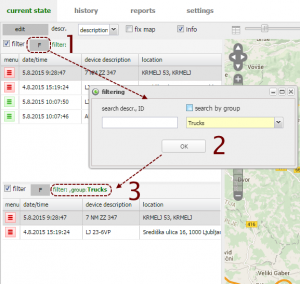 use device search to add device. You can search by description or ID. Current device is written in green next to textbox. When you get the right device, click "add tracker to list". 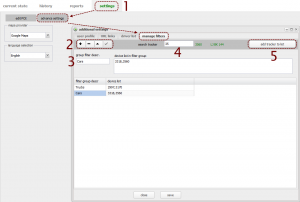 Apply changes by clicking check () button.